On the night of 17 February 1920, a woman was dragged out of a canal in Berlin by a policeman who had seen her jump in, apparently in a bid to kill herself. Refusing to speak and possessing no papers, the 23-year-old woman ended up in a mental asylum, where she became known as Fräulein Unbekannt, or Miss Unknown. Eighteen months after her rescue, a fellow inmate became excited about a newspaper article she had read which suggested that one of the Romanov daughters had survived the murder of the Imperial family in Ekaterinburg, Russia. ‘I know who you are’, she told Miss Unknown triumphantly. The notion that a member of the Imperial Family had survived was immediately attractive to White Russians (supporters of the Tsar), who had lost so much in the Revolution. That the survivor might be Anastasia, the youngest and most beguiling of the sisters, made the story additionally appealing. The asylum became a place of pilgrimage. Visitors brought keepsakes and photographs. The creation of the myth was a collaborative affair, constructed around the claimant. 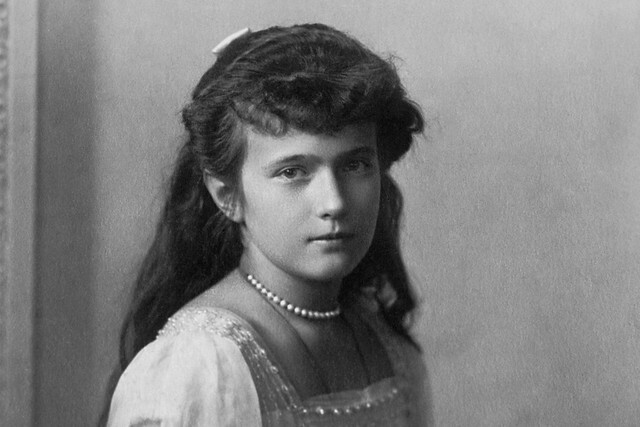 The story was that Anastasia had been rescued at Ekaterinburg by a monarchist soldier. Somewhere along the line, she had despaired and thrown herself into the canal. The faith of the supporters was not diminished by discrepancies. On the rare occasion when the claimant spoke, it was in the wrong language: German or Polish, instead of Russian; English or French. She had a poor memory and no manners. Her appearance had changed dramatically and she seemed to have aged terribly. But to the faithful, these anomalies served only as evidence of her authenticity. What greater proof could there be of the mental and physical traumas the poor girl had suffered than that she had lost her language, her memory, her looks? Over the years, more than 30 rival Anastasia claimants popped up, but it was the story of Anna Anderson (a name she had adopted at random) which won through, to be re-told in books, plays, films, musicals, operas and, of course, in Kenneth MacMillan’s ballet Anastasia. For years there remained the possibility that this strange woman really was Anastasia. A German court spent 30 years weighing up her case before finding her claim ‘neither established nor refuted’. All doubts were finally dispelled, however, by DNA tests in 1994. Ten years after her death, Anna Anderson was exposed as a Polish peasant, Franziska Schanzkowska, who had travelled to Berlin to pursue an acting career. She had lost her fiancé on the Western Front, then suffered injuries in an explosion, acquiring those scars that her supporters put down to beatings at Ekaterinburg. It is hard to tell how active the befuddled young Franziska had been in the concoction of her romantic alias. But once the idea had been suggested, perhaps she can be forgiven for running with it. Either she could resume life with the obscure, ill-favoured Schanzkowski family, none of whom had made any effort to trace her, or she could step into the shoes of a glamorous grand duchess, and be attended, for the rest of her life, by courtly admirers. Unfortunately for her, those faithful supporters were matched by horrified sceptics. Well-wishers, mostly titled, would take her up, only to find themselves embroiled in bitter fallings out. After decades of an itinerant existence, Anna Anderson married an eccentric tam-o’-shanter-wearing genealogist, Jack Manahan, 20 years her junior. The Manahans lived, equably enough as hillbilly celebrities, in a rubbish-strewn house which they shared with 40 cats, none of them house-trained. For her supporters, Anna Anderson’s death did not spell the end of the struggle to have her recognized. They doubted the efficacy of DNA; they complained of laboratory mix-ups and suspected a cover-up. Prince Rostislav Romanov, who died in 1999, was the only member of his family to attend the press conference in London at which the DNA findings were announced. His jubilant comment immediately afterwards was ‘It’s over!’. But he was favouring science over faith: it is doubtful that the tale of the survival of the Grand Duchess Anastasia will ever be allowed to rest. This is an edited extract from Frances Welch’s article ‘The False Grand Duchess Anastasia’, printed in full in The Royal Ballet’s programme book for Anastasia, available at the Royal Opera House during performances.